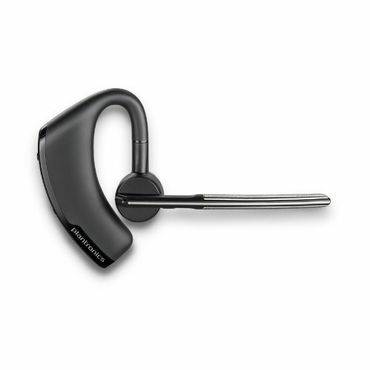 Plantronics has taken the lead when it comes to Bluetooth headsets. Partially that's by default as some makers have seemingly moved on to greener pastures, but also because experts and users find lots to like in models that range from competent yet cheap to pricey performance powerhouses. 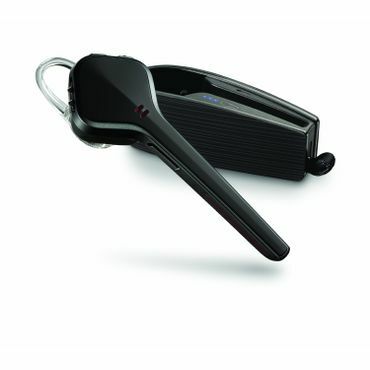 The Plantronics Voyager Edge excels at nearly everything you could ask from a Bluetooth headset. It's small and lightweight, sound quality is crystal clear, physical controls and voice commands are easy to use, and most owners find it comfortable to wear. Its 6-hour talk time isn't the longest available, but it's still pretty good, and the included charging case can extend it by up to 10 hours. The Plantronics Voyager Legend has an old-school look, and is bulkier than the Voyager Edge, but delivers much of the same performance. It's easy to use, too, except when it comes time for charging thanks to its too short, proprietary cable. Still, if you can live with some small annoyances, those tradeoffs will get you performance and comfort that's the equal of headsets that cost considerably more. Bluetooth headsets allow for almost hands-free operation of your cellphone. With many states now banning the use of hand-held cellphones while driving, these headsets offer a way to chat and drive legally at the same time. They also come in handy at work or anywhere else you want to have both hands free while carrying on a conversation. A high-quality Bluetooth headset can cost $100 or more. However, there are also inexpensive models available for less than that -- and sometimes much less -- that provide decent voice quality but fewer features. Some of these are new, basic headsets, while others are older models that are still on the market. That said, these days, even inexpensive Bluetooth headsets often include features that were found only on the highest end models not very long ago. For example, all the headsets in this report can be operated by voice commands as well as with physical controls. Most of them also offer multipoint pairing, enabling them to connect to two cellphones simultaneously. However, you'll still need to pay extra for features like Advanced Audio Distribution Profile-enabled (A2DP), which enables your headset to double as a speaker for streaming audio. With this feature, you can toggle between music playback and phone calls, and most of the headsets are smart enough to automatically mute the music when a call comes in. However, the audio quality of a Bluetooth headset, while still quite good for causal listening, can't match that of a set of headphones designed specifically for music. If you want top-notch audio quality and don't need a microphone, consult our report on wireless headphones. Until recently, there were two big players in the Bluetooth headset field: Aliph Jawbone and Plantronics. Two years ago, the then newly redesigned Aliph Jawbone Era (2014) (Est. $50) was our overall top pick among Bluetooth headsets. Recently, however, availability has become limited. The Era can still be bought through the manufacturer's Jawbone store, but only in basic black, not the array of snazzy colors that were once a major selling point of this model. Most other retail sites either don't carry the Era at all, or offer models that are older still. You can still pick up a latest generation Era from a third-party seller on Amazon.com, but it's not clear how much longer that will remain the case. With that as a backdrop, Plantronics has become the one big name in Bluetooth headsets. But that's not a negative; the company offers over a dozen models to choose from, and its offerings earn consistently strong reviews from tech-related websites. The best Plantronic headset overall, according to reviews, is the Plantronics Voyager Edge (Est. $130). It's the top pick in a detailed comparison test at TheWirecutter.com, and it's among the highest-rated models at both CNET and PCMag.com. All sources agree that this headset delivers top-notch call quality, transmitting voices clearly and blocking out background noise. The only time it falters is when making calls from a moving car, where it has difficulty compensating for wind noise. Most reviewers also say this headset is very comfortable to wear. It's incredibly small and light – just over 2.5 inches long, and a little under a third of an ounce. However, because its earbud sits outside the entrance to the ear, it's a little harder to position properly than models that tuck inside the ear, such as the Jawbone Era. Experts and users find the Voyager Edge very easy to use. Both its physical controls and its voice commands are intuitive, and it pairs smoothly – even with two devices at once. Sources disagree about its Bluetooth range. In tests at PCMag.com, voice transmission became iffy at 15 feet and cut out entirely at 25 feet, but TheWirecutter.com found it maintained a stable connection up to 50 feet away for voice calls and an impressive 87 feet away for streaming music via A2DP. The Edge's battery is good for about 6 hours of talk time or 7 days on standby – which is good, but not the best we've seen. However, the headset comes with a charging case that can give you up to 10 additional hours of talk time before you need to find an outlet. One small point of concern is a fairly large disconnect between user reviews at certain sites -- around a half point difference between feedback at Amazon.com and BestBuy.com, for example. Looking at Amazon.com, however, reveals that a decent number of the lower ratings there are vendor related as some users report receiving grey market versions (models designed to be sold outside of the U.S.) from certain Marketplace sellers. At BestBuy.com, that issue does not crop up, and feedback is strong -- 4.2 stars based on more than 1,150 reviews. While the best Bluetooth headsets deliver convenience, comfort, features and performance, if you can accept some mostly modest tradeoffs, you can save a bit of cash and find a good performing alternative at a more modest price. An older Plantronics model, the Plantronics Voyager Legend (Est. $70) fares nearly as well in professional tests as the Voyager Edge, and is even more popular with users. It has most of the same features as the Edge, including voice commands, A2DP, and multipoint pairing. But at 0.6 ounces, the Legend is significantly larger than the Edge and not nearly as sleek-looking. While the Edge holds itself in place with a tiny loop that tucks under the cartilage of the ear, the Legend has an old-school connector that hooks over and around the entire ear, so it's much more noticeable when worn. However, the bigger ear loop also provides easy-to-reach controls, and most users find it comfortable to wear, even with glasses. In terms of performance, the Legend is also largely a match for the Edge, It has problems with wind noise, but aside from that, sound transmission is excellent. In terms of battery life, the Legend actually lasts a bit longer than the Edge, giving up to 7 hours of talk time or 11 days of standby between charges. On the downside, unlike the Edge, the Legend doesn't have a charging case, so when the battery finally runs down, you need to plug in and doing that can be a hassle. The Legend uses a proprietary, non-USB charging cable that lots of users have had problems with. Some say the magnet that's supposed to hold the cable in place is easily dislodged, so the phone isn't always charging when you think it is. Worse, the cable is only 1 foot long, so if you don't have a power strip on your desk, you have to put the headset on the floor in order to hook it up to an outlet. But if you can live with these annoyances, you can get similar performance and comfort as with the Edge, but at a lower price. One of the biggest weaknesses of both the Voyager Legend and the Voyager Edge is that they don't transmit sound well in a moving car, or anywhere else there's a lot of wind noise. If that's a concern, the Plantronics Explorer 500 (Est. $60) does a much better job. In TheWirecutter.com's tests, it outperforms all other headsets in this setting, including some that cost two to three times as much. It's tops in a test of Bluetooth range, too, keeping a stable signal for 54 feet on a voice call and 95 feet for music streaming. And its battery holds out for over 7 hours on a charge, besting the Edge by about an hour. In other respects, however, the Explorer 500 isn't quite as impressive as the Edge and the Legend. Its voice quality is good overall, but not outstanding. Some background noise gets through in tests at a noisy cafe, and some users complain that the volume for incoming calls is too low to hear clearly. It offers only the most basic voice commands, and it doesn't come with a charging case. On the plus side, it charges with a micro-USB cable, so you don't have to carry a proprietary cable everywhere. The Explorer 500 is even smaller than the Edge, and it has the same kind of earbud and loop fitting. For most users, it fits well, but we saw some complaints that it gets uncomfortable or even painful with prolonged use. Availability is a little limited, but you can buy it directly from the maker and from mobile carriers such as T Mobile and Verizon. An apparently identical version, the Plantronics Explorer 505 (Est. $60) is also available at BestBuy.com. If you're on a very tight budget, the Plantronics M55 (Est. $35) is worth a look. This remarkably cheap little headset gives you a lot of features for the price, including A2DP, voice commands, and multipoint pairing. And its battery life is absolutely unsurpassed: in tests at PCMag.com, it provided 8.5 hours of consecutive talk time when paired with an iPhone. In standby mode, it can go up to 16 days between charges, thanks to a special Deep Sleep mode that conserves battery power. The M55's performance isn't as impressive as its competitors, however. Voices come across clearly in quiet settings, but CNET says a fair amount of background noise leaks through when it's used on a busy street. Users at Amazon.com like the M55's sound quality, compact size, and amazing battery life. However, many of them are disgruntled about the fact that it comes with only one earbud, so if you happen to have larger or smaller ears, you have to special order other sizes. We also saw some complaints that its Bluetooth range is pretty limited. But if you just need a cheap, reliable headset for indoor use, the M55's $30 price tag is hard to beat. As you might expect, the best reviews of Bluetooth headsets come from tech-related websites. TheWirecutter.com is the only site to perform head-to-head tests, but both CNET and PCMag.com have fairly extensive collections of reviews. Editors test new headsets as they're released and evaluate their features, comfort, and performance, often comparing the new headsets to earlier models. User feedback at Amazon.com and BestBuy.com provides insight into how the headsets stand up to real-world use, as well as durability and comfort issues over time.